Cinema Rossiya in Yerevan, Armenia. Completed in 1975. Lead architect Artur Tarkhanyan. Brutalist, Soviet architecture in the former USSR. Museum of Fine Arts in Vanadzor, Armenia. 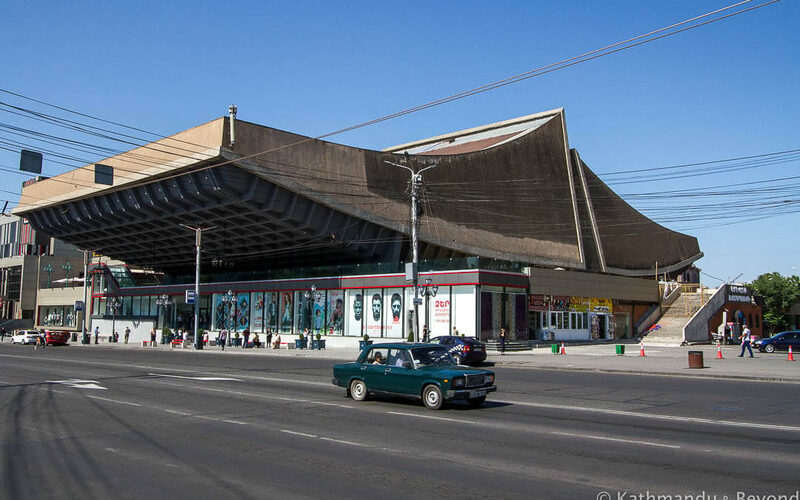 Completed in 1974 by architect L. Khachatryan. Modernist, Soviet architecture in the former USSR. Memorial of the 50th anniversary of Soviet Armenia in the capital city of Yerevan. 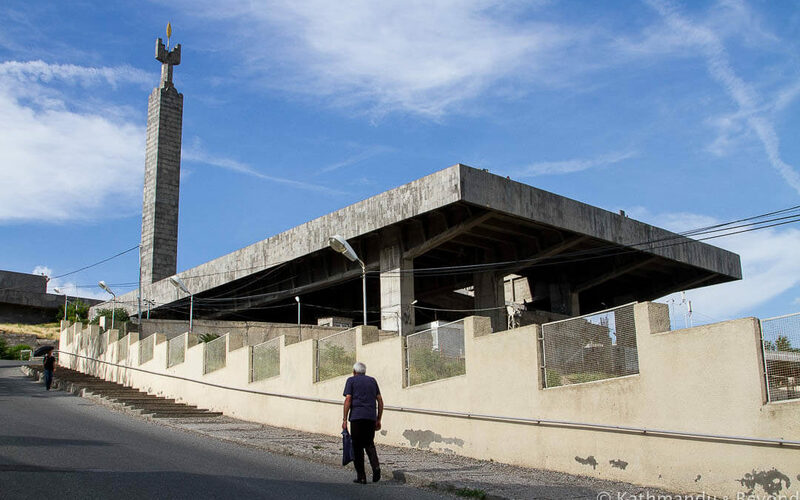 Brutalist, Soviet memorial in the former USSR. Monument to the Great Patriotic War in Gyumri, Armenia (Caucasus). World War II memorial, Soviet monument in the former USSR. 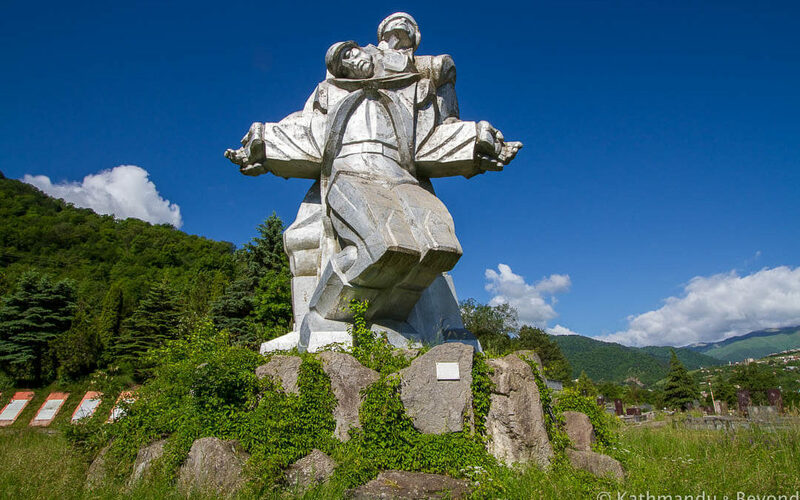 Monument to the Great Patriotic War in Dilijan, Armenia. 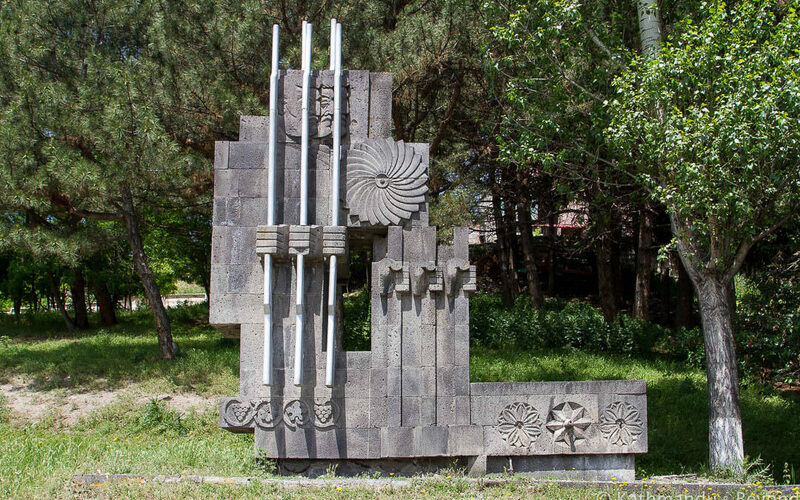 Completed in 1975 by sculptors K. Vatinyan and S. Mehrabyan. Soviet memorial in the former USSR. Monument to Stepan Shahumyan in Vanadzor, Armenia. Completed in 1967 by artist Rafik Boshyan. Soviet monument in the former USSR.